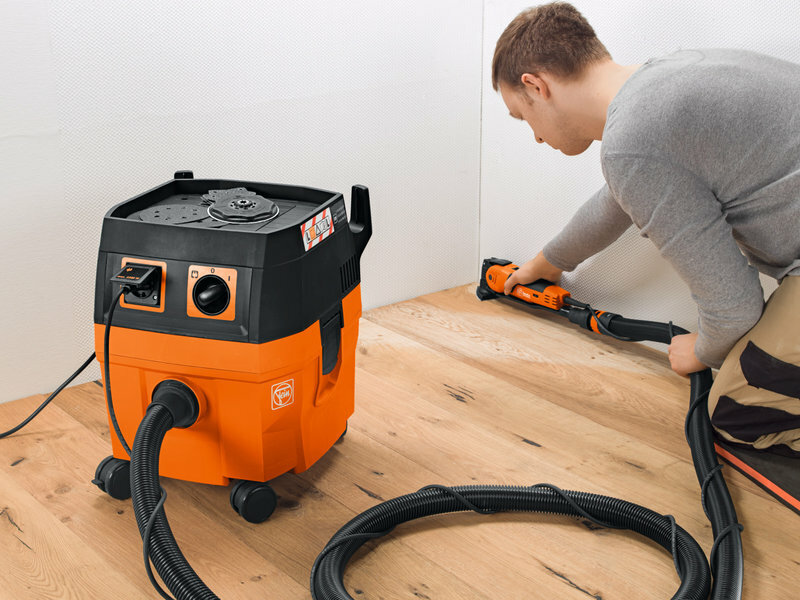 The most powerful system for interior work and renovation with special accessories for fast and precise sawing work when fitting wood. Maximum quality and stability thanks to the use of ball / needle roller bearings and a motor and gearbox designed for continuous use at high load. Convenient QuickIN quick clamping system. StarlockMax tool mounting with outstanding torque transfer, suitable for all Starlock, StarlockPlus and StarlockMax accessories. TiN-coated carbide plunge-cut saw blade with extremely good resistance to wear. 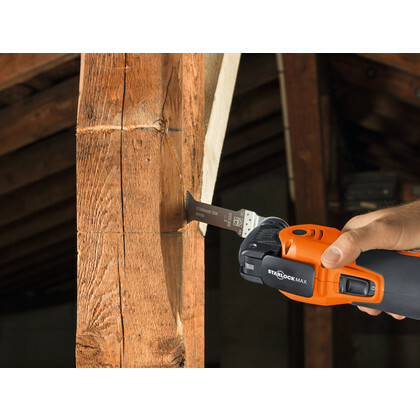 Lasts 100% longer than uncoated carbide saw blades. Lasts 30 times longer than HSS saw blades. 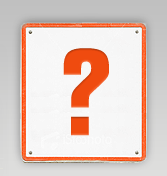 The right choice for tough materials, such as ferrous metals, stainless steel or copper pipes. 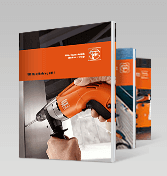 Can even be used for hardened screws (Spax) and high-strength machine screws. 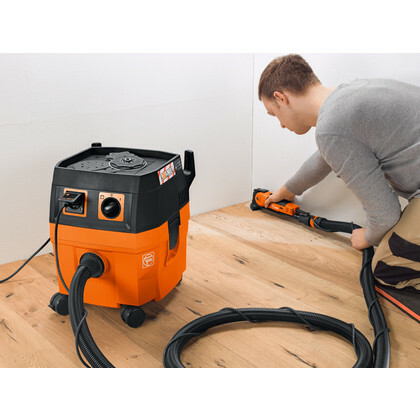 But also ideally suited to abrasive materials, such as bricks, masonry or fibre cement boards as well as laminate, carbon fibre-reinforced plastic and fibreglass-reinforced plastic. Good cutting results and cutting quality in all timber materials, such as hardwood or chipboard. Narrow, with waist for optimum cutting speed and good swarf removal. 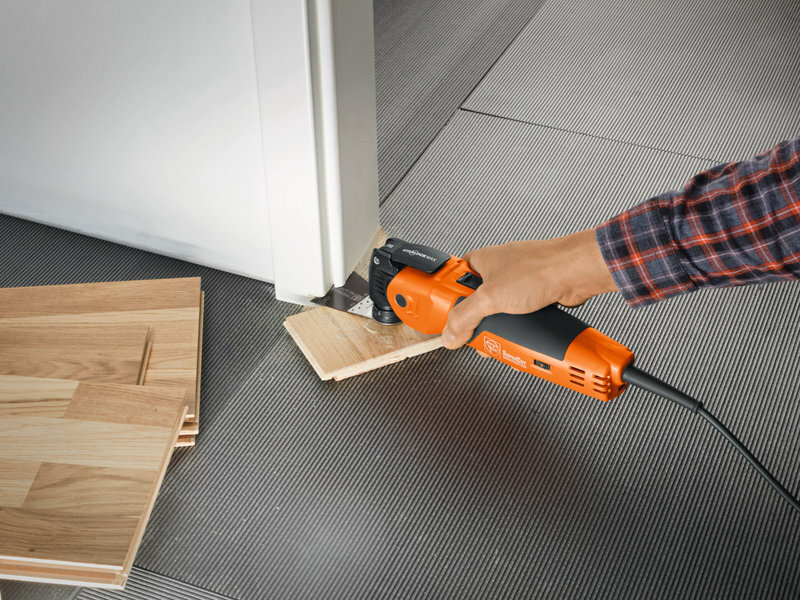 Segmented, ideal for working in corners and on edges without overcutting. Set teeth for all wood, plasterboard and plastic materials, high cutting quality and speed. 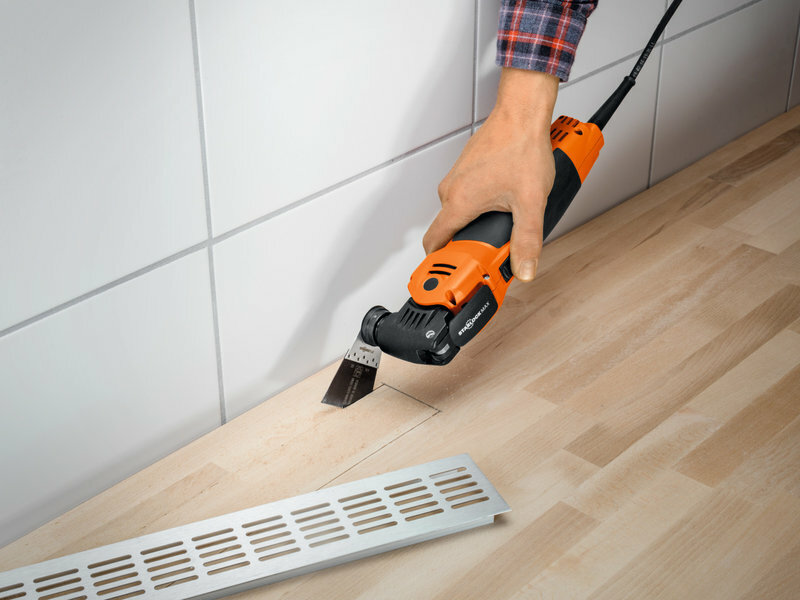 Curved cutting geometry for optimum plunging and clean precise cut edges, especially on smooth surfaces. 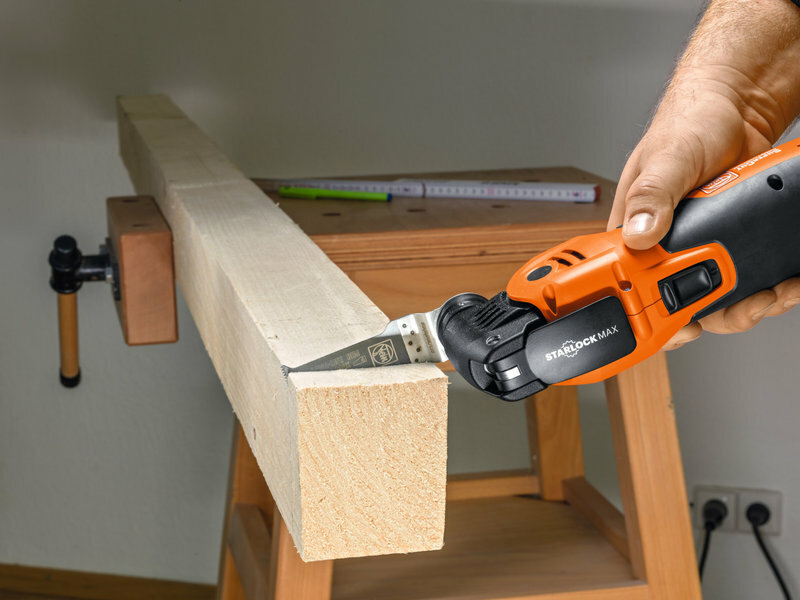 Wide shape for maximum cutting performance and long, straight cuts. Medium width for various uses. Bimetal with set wood teeth for all wood, plasterboard and plastic materials. Outstanding tool life, high cutting quality and speed. Extremely robust, not affected by nails (up to diameter of approx. 4 mm) in wood, masonry etc. Bimetal with double-row Japan teeth for all wooden materials, plasterboard and soft plastics. 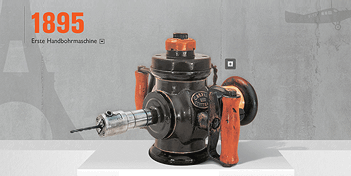 Improved tool life and robustness. The fastest cutting speed and maximum precision. 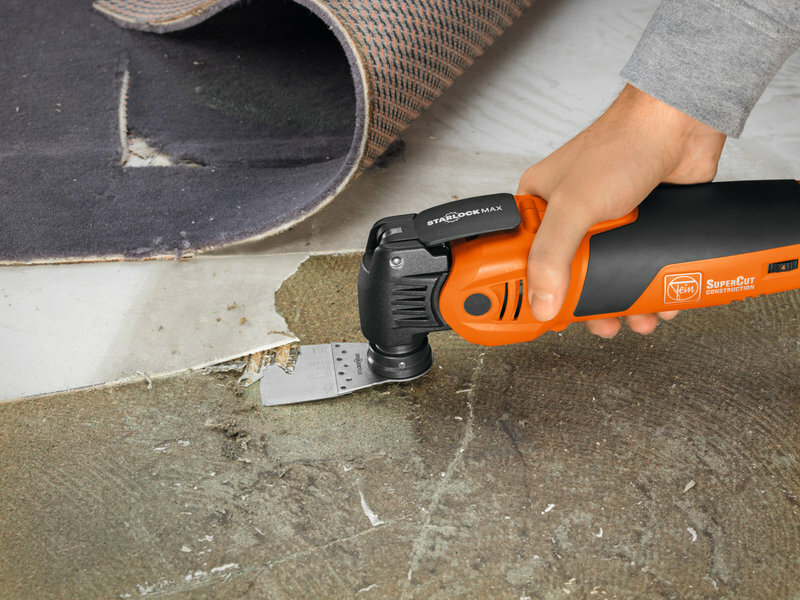 Extra wide shape for maximum cutting performance and long, straight cuts. Double-row Japan teeth for all wooden materials, plasterboard and soft plastics. The fastest cutting speed and maximum precision. Solid HSS saw blade with metal teeth for sheet metal up to approx. 1 mm. 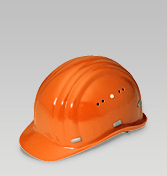 Also for plastics, fibreglass-reinforced plastic, wood, putty and copper/copper alloys. Outstanding cutting speed. Clean, thin cutting line. 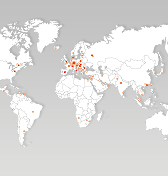 Circular shape delivers good cost-effectiveness. 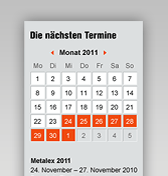 Bimetal for long tool life. Metal teeth for sheet metal up to approx. 1 mm. 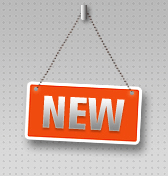 Also for plastics, fibreglass-reinforced plastic, wood, putty and copper/copper alloys. Work flush with the surface. Circular shape and extra large diameter deliver optimum cost-effectiveness. Bimetal for long tool life. Set wood teeth. 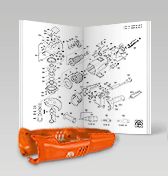 Outstanding tool life, high cutting quality and speed. 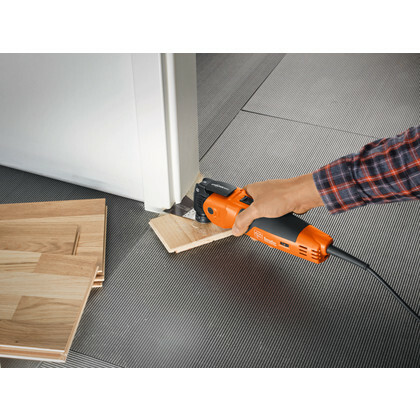 As "mini circular saw", ideal for long, straight cuts and for making cut-outs in laid parquet, laminate and wall panelling. Bimetal for long tool life. Set wood teeth. Outstanding tool life, high cutting quality and speed. 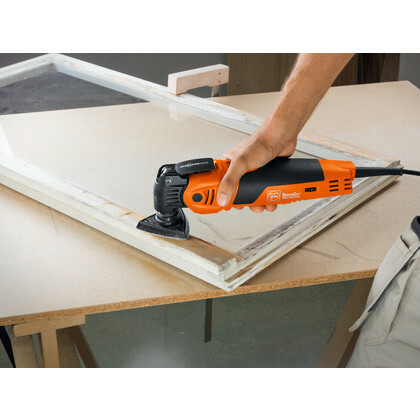 As "mini circular saw", ideal for long, straight cuts and for making cut-outs in laid parquet, laminate and wall panelling. 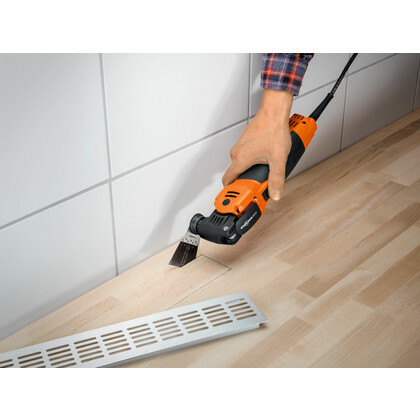 The depth stop can also be used with many other FEIN accessories. For accurate working at depth. 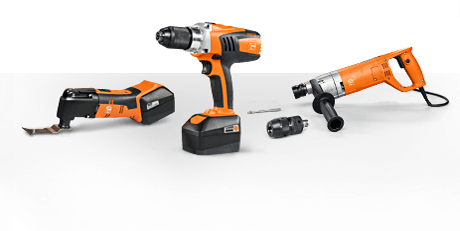 StarlockPlus fitting, suitable for all popular multi-function tools with StarlockPlus and StarlockMax fitting and for all FEIN MultiTalent and MultiMaster tools up until 04/16. Spare contact guard for HSS saw blade 6 35 02 176 21 0. Depth stop for all saw blades. For accurate working at depth. Effective protection for blade and workpiece. Contents: 1 adapter for attachment to the machine. 1 depth stop, 1 depth-adjustable guide block. Can only be used with (A)FMM or (A)FSC. Includes 6 different E-Cut saw blades with bimetallic teeth at a special price in a practical plastic storage box. 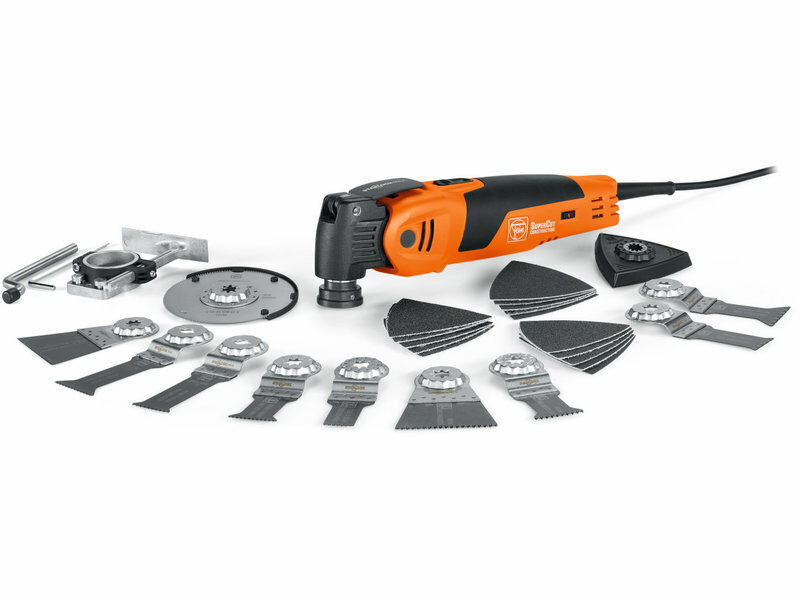 Contents: E-Cut universal saw blades (1 x 28 mm and 1 x 44 mm wide) and E-Cut long-life saw blades (2 x 35 mm and 2 x 65 mm wide). 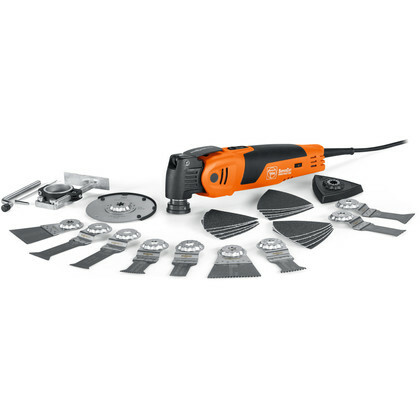 Collection of the 3 most popular FEIN E-Cut saw blades for universal use. Better value than buying items separately. 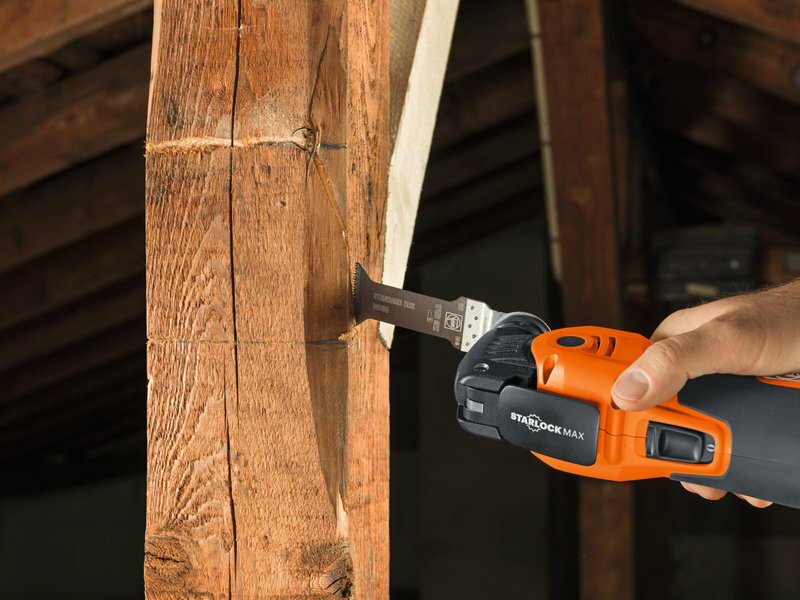 Perfectly equipped for all sawing applications. Supplied: 1 E-Cut long-life saw blade 35 mm wide, 1 E-Cut long-life saw blade 65 mm wide and 1 E-Cut universal saw blade 44 mm wide. Short, very narrow shape for the smallest of recesses. Medium width, with waist for optimum cutting speed and good swarf removal. Set teeth for all wood, plasterboard and plastic materials, high cutting quality and speed. Bimetal with corrugated universal teeth. 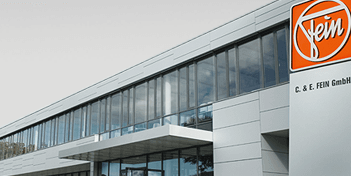 Wide range of applications for sheet metal up to 2 mm, aluminium profiles, copper pipes, wood, plasterboard and plastics. Wide, with waist for optimum cutting speed and good swarf removal. Bimetal with fine teeth for sheet metal up to 2 mm, aluminium profiles, copper pipes. Also for fibreglass-reinforced plastic and other hard plastics. Extremely precise cuts which are very easy to control with particularly thin cutting line. Open teeth for perfect, clean cut edges in carbon fibre-reinforced plastic/fibreglass-reinforced plastic materials without delamination. 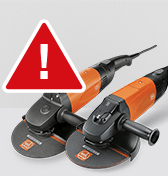 Distortion-free, long, straight cuts at high cutting speed and with precision. Extra thin version. Cutting width approx. 1.2 mm.Segmented, ideal for working in corners and on edges without overcutting. Diamond coating for outstanding service life. Extra thin version. Cutting width approx. 1.2 mm. 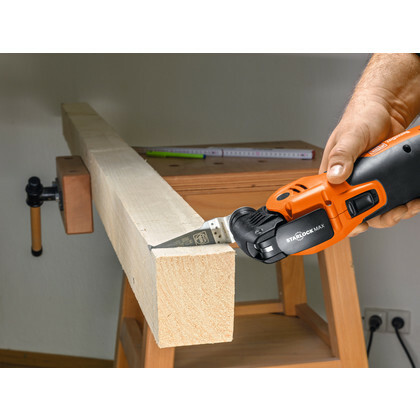 Segmented, ideal for working in corners and on edges without overcutting. Gentle sawing with perfect, clean cut edges in carbon fibre-reinforced plastic/fibreglass-reinforced plastic materials without delamination. Particularly well suited to precise cut-outs and short cuts. Precise working into the corners and on edges. Diamond coating for outstanding service life. Gentle sawing with perfect, clean cut edges in carbon fibre-reinforced plastic/fibreglass-reinforced plastic materials without delamination. Particularly well suited to precise cut-outs and short cuts. Precise working into the corners and on edges. 34-part accessory set for a wide range of renovation jobs at a special price in a practical plastic storage box. 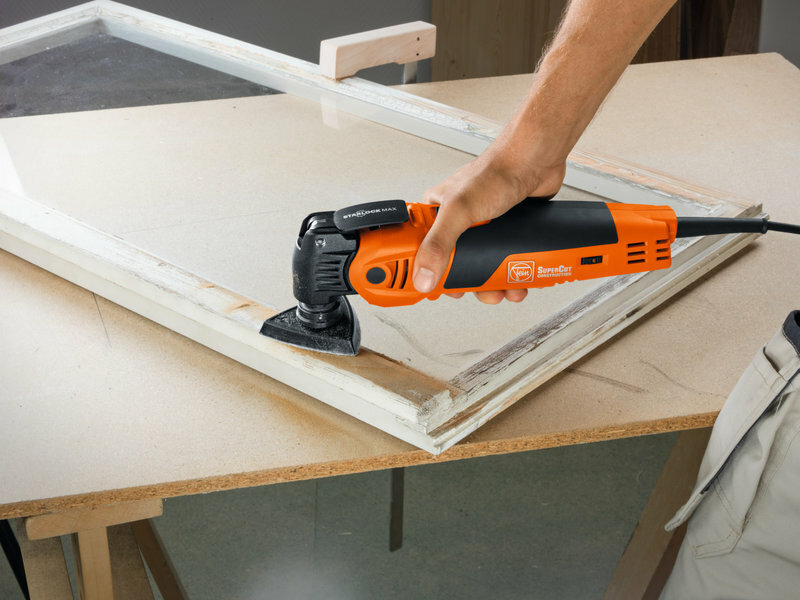 Universal use for sawing, sanding, cutting and much more. Attractive savings over purchasing the items individually. Contents: E-Cut long-life saw blades (1 x 10 mm and 1 x 20 mm), E-Cut long-life saw blades (3 x 35 and 3 x 65 mm), E-Cut universal saw blades (1 x 28 mm and 1 x 44 mm), 1 segmented HSS saw blade, diameter 85 mm, 1 segmented carbide saw blade, diameter 90 mm, 1 carbide file 10 mm, 1 rigid short stopper knife, 1 unperforated triangular sanding pad, with sanding sheets 3 each of 60, 80, 120, 180 grit, 1 backing pad, diameter 115 mm with sanding sheets, 2 each of 60, 80, 180 grit. Long, narrow shape for large plunge depths. 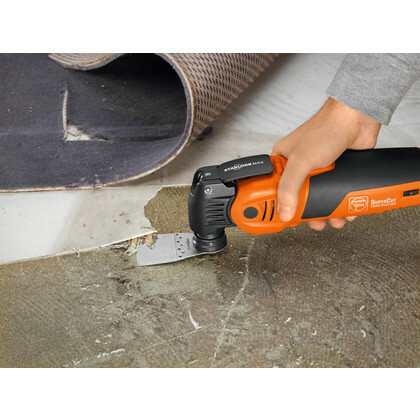 With waist for optimum cutting speed and good swarf removal.